Giuseppe Bonanno (January 18, 1905 ?¢Ç¨Äú May 12, 2002), better known as Joseph Bonanno, was a Sicilian-born American organized crime figure who became the boss of the Bonanno crime family in 1931 until his retirement in 1968. 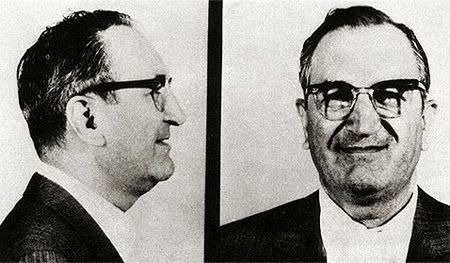 Joseph Bonanno was instrumental in forming The Mafia Commission, which was designed to oversee all Mafia activities in the U.S. and serve to resolve conflicts between the Mafia families. Joseph was married to Fay and they got three childeren. Salvatore “Bill” Bonanno (who was quite a character himself as well), born 1932; Catherine, born 1934; and Joseph Jr., born 1945. 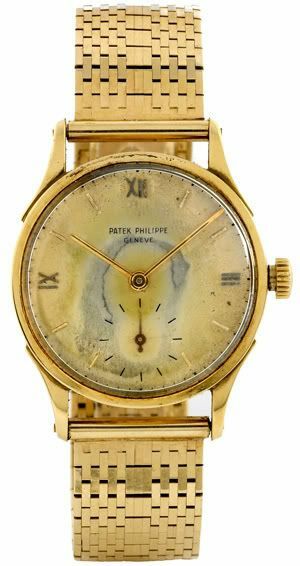 Joseph Bonanno received this Patek Philippe ref.1516 from other Sicilian mobster Charles “Lucky” Luciano. Lucky Luciano was also member of the “Commission”. This watch is included in Antiquorum’s upcoming auction and is accompanied by a letter of authenticity from his daughter, Catherine Bonnano. Lucky Luciano gave this watch to Joseph Bonanno in 1957, in Sicily. Bonanno seems to be the prototype Godfather for Mario Puzo’s novel, The Godfather. There is also a TV movie, written by (a.o) Bonanno himself, called Bonanno: A Godfather’s Story. Antiquorum estimates this watch between 5000 and 8000 USD. If you (possibly can) imagine what this watch has seen during its use, it is almost frightening. The estimate is therefore – in my opinion – frighteningly low.